The severity of a drug charge depends on what type of drug you possessed. The severity of may be more or less depending on the amount of the drug that was possessed as well, but here I am just going over the types of drugs. In North Carolina drugs are classified into schedules, with schedule I being the most severely punished and schedule VI being the least severe. Drugs are categorized generally based on how addictive they are and the harmful the side effects are. I have compiled a list of the schedules in North Carolina and what types of drugs are included to give you an idea of the severity level of various types of illegal drugs. Schedule IV – Includes Valium, Xanax, Rohypnol, Darvon, Clonazepam, and Barbital; First Offense is a Class 1 Misdemeanor and a Second Offense is a Class 1 Felony. Schedule VI- Includes Marijuana, Hashish, and Hashish Oil; First Offense is a Class 3 Misdemeanor and a Second Offense is a Class 2 Misdemeanor. The punishments listed here are for possession based charges. If you have been charged with trafficking illegal drugs the punishments will likely be harsher than those listed here. Any criminal charge on your record may have negative effects on you in the future, but a drug charge may have more serious impacts. If you have been charged with possession of any drug remember you are still innocent until proven guilty. Contacting an attorney who can evaluate your case to get you the best possible outcome is imperative. Some people are aware that traffic stops and the usage of police canines to “sniff out” any drugs do not constitute a ” search” under the definition of an ” unreasonable search and seizure,” under the Fourth Amendment. It is said that during routine traffic stops, a “sniff,” will not give rise to the level of an unreasonable search, needed to exclude whatever evidence( drugs, etc.) the dog may alert the officer to. So in other words, let’s say there were two police officers that pulled your friend and yourself over for a routine traffic stop. Whilst you were in the middle of being questioned, the other officer that was in the passenger side f the patrol car gets out with his canine and begins to walk around the vehicle. You are still being questioned at this time. The new ruling has stated that this sort of “dog alert,” is no sort of warrantless search but actually the opposite. 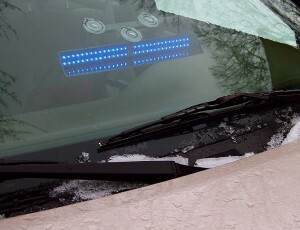 It now gives rise to the officers to have probable cause to search you, the passenger, and now your vehicle as well. A man was charged with DWI after it was reported that he smashed into a North Carolina State Trooper’s patrol car. The 45-year-old man caused the crash at around 1:00 a.m. Saturday on West Boulevard near Holibird Lane. The trooper was left uninjured; however the same thing cannot be said of the police cruiser. It will be a total loss. Police report that it remains unclear what the man was under the influence of, or how impaired he was. The suspect was taken to the Mecklenburg County Jail, and was later released with a court date set for Oct. 21. 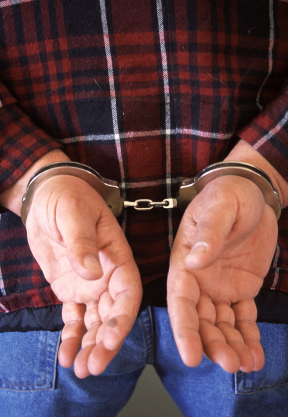 One of the aspects of a DWI arrest is the possibility of substance abuse treatment. The North Carolina Department of Motor Vehicles and the state court system work with the state’s Division of Mental Health, Developmental Disabilities and Substance Abuse Services to make sure DWI offenders receive substance abuse assessment. Further, they must complete any required steps, such as through the ADETS program (also known as the Alcohol and Drug Education Traffic School). The following programs can be negotiated through your lawyer, the judge, and possibly the NC DMV will provide you with the relevant information. It is $100 for the DWI assessment, and a $160 fee for ADETS. Treatment programs can also be used and they vary by provider. 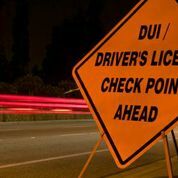 Some DWI offenders can skip treatment programs and enroll in ADETs only after a drug assessment. This is based on chemical tests, and showing no criteria for being dependent on substances. 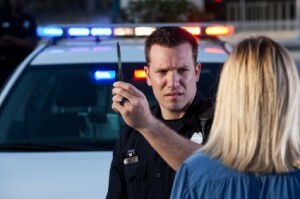 In North Carolina the law allows for a vehicle to be seized if you are charged with DWI. This may happen even if you are not the owner of the vehicle you were driving at the time. 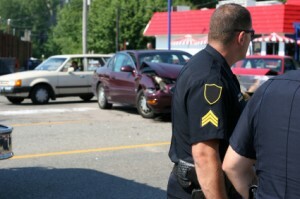 There are two situations in which law enforcement officers must seize the vehicle, which include 1.) The driver’s license of the driver is already revoked for a prior impaired driving offense, or 2.) The driver of the vehicle is not validly licensed and not covered by an automobile liability policy. If either of these situations apply to the driver at the time of the DWI offense the vehicle will be seized. Once the vehicle has been seized it will first be stored at a local storage facility. After a few days the vehicle will be taken to the facility of a state contractor. Eastway Wrecker, which is based in Charlotte, serves the western part of our state. If any of these situations apply to you, you may file the proper paperwork with the clerk of court who will review your case. You may also alternatively post a bond that is equal to the fair market value of the vehicle which will allow you to temporarily take possession of the vehicle until the next court hearing on the vehicle. In North Carolina, and according to the Constitution’s Fourth Amendment, you have right to remain silent during a custodial interrogation. The Fourth Amendment states that:”you have the right to remain silent, anything you say can and will be used against you in a court of law, you have the right to an attorney, and if you cannot afford one, you have the right to a court-appointed attorney.” North Carolina goes one step further and allows you to make a phone call to a family member, friend, or an attorney should you so need. These rights just listed, which we have all heard before, whether on television or from experience, is knows as your “Miranda Warnings.” A custodial interrogation is when the officers have you in a position in which a reasonable person would not feel that they are free to leave. This can be a bit of a sliding scale. Officers are entitled by law to use deceit as a means of tricking an alleged defendant into speaking. They can even use undercover informants, who you may believe you can trust. The issue with this is that once you have spoken, there is no confidential protection, and your words WILL be used against you. Don’t let this happen to you out of fear. Now that you know your rights, contact an attorney who can help you apply them properly when you have been accused of a crime. If you are convicted of a traffic violation in North Carolina it will result in points being placed on your driving record. These points that are assigned to your driving record can have many negative consequences such as increasing insurance premiums and could result in suspension of your driver’s license. With possible consequences such as these it may not be the best course of action just to pre-pay or plead guilty to the violation. Often an attorney can assess the charge and may be able to find a way to get it reduced or completely dropped. Traffic violations each have a different number of points assigned to them. Over time if you get more than one conviction these points add up and the consequences become worse. The list below is an outline of the most common violations and how many points are assessed for each one. If you have been charged with a traffic violation it does not automatically mean you should be found guilty of the offense. 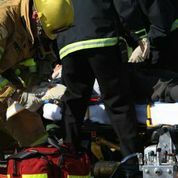 If you believe that you should not have received a ticket then you need to contact an attorney who can review your case for you and figure out the best course of action to protect your interests. Once you have a chance you pull over and the officer approaches your window, you are likely nervous and you are not sure what to say and do not know how to react to this police officer who is now speaking to you. It is likely the officer is going to ask you for driver’s license and registration first off. This is rather standard and the best thing to do is hand it to him. Once he has your information he may start to ask you questions such as if you know why you have been pulled over or what are you doing today. If you are the driver within that instant you are trying to think of the best response. So here is the thing….It depends. If you know why you have been pulled over such as you know you were speeding or you know the registration on your car has been expired for months my advice would be to be honest. Don’t get me wrong, don’t confess every single detail, but honesty is going to take you a long way. On the other hand if you really do not know or are not sure say that. Do not admit to anything you are not sure of but it is best not to bluntly lie either if you know what you did that caused the stop. Why you ask? Good Question. There are multiple reasons. From a police officer’s point of view, the more honest you are the more likely his is willing to reduce the citation he is going to write or perhaps not even write one at all. If you end up going to court because a citation was written, judges are more lenient with people who are honest and respectful. On that note it is always better to be respectful to the officer who pulled you over despite how you may feel at the time because many times when deciding how to rule a judge will ask the officer how the driver acted when he/she was pulled over. The phrase we have all heard “you can attract more bees with honey than vinegar” applies in this instance. I say do not say too much when you are pulled over because if you do not know why you have been pulled over than don’t start rambling off things you might have been pulled over for. Just say you don’t know. The answer to this question is simply no. If an officer asks you if he or she can search your vehicle your answer should always be no. An officer may ask you at any time if they can search you or any of your other property including vehicles but they key is that you have the right to say no. Even if you do grant an officer permission to search you have the right to the officer where he or she may search and you can revoke that consent at any time during the search. According to the infamous case of Arizona v. Gant, an officer is permitted to ONLY search what is in the “immediate grabbable area” when you are stopped for an infraction. Thusly, they are permitted to search what is underneath your seat, in your purse, glove compartment, and back seat, but that is it. They cannot search your trunk without a warrant, or an applicable exception. This is now a federal law, and is interconnected to the Fourth Amendement’s ” Search and Seizure” requirments. One of those most common exceptions is when the driver of the vehicle gives the officer consent. If an officer wants to search your vehicle, generally he or she will make various statements to you to try to get your consent. Commonly he or she may try to make it a general request by something like “I have a certain amount of vehicle I have to search every month and I don’t think you are a criminal or anything, would you mind if I have a quick look?” Another common question would be something along the lines of “You don’t have any dead bodies, machine guns, bombs, or anything like that in your car do you?” Most people of course do not, so the tactic is that listing items such as these the driver will believe that is what the officer is searching for and will give consent. No matter what an officer tries to tell you to get consent to search always say no. If an officer has probable cause to search the officer will not ask you for permission but rather will tell you that he has probable cause to search or has a warrant and will do so. Of course in this case you must let the officer search. 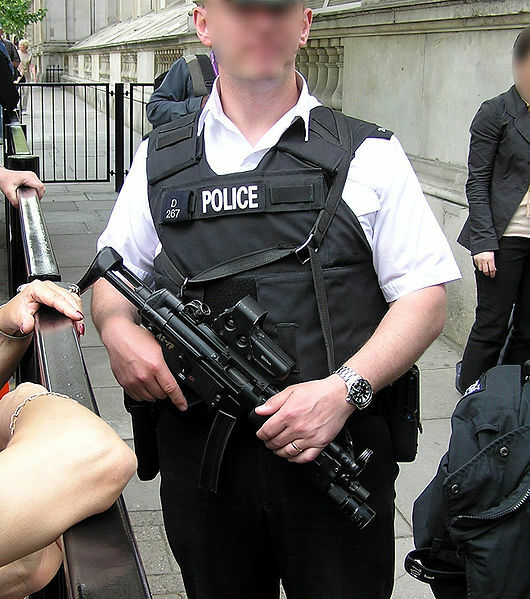 If the officer is asking your permission to search then you have every right to say no. At first glance the difference seems obvious. One is a charge for possessing an illegal drug and the other is a charge for possession paraphernalia related to the drug. This is true; however the difference between the two charges gets a little deeper. If I asked you which charge was more serious in North Carolina, what would you guess? If you are like most people you probably assume that actually possessing drugs is more serious, and if I didn’t know better I would tend to think the same thing. However the state of North Carolina has decided to punish the possession of drug paraphernalia more seriously than possession of drugs. A misdemeanor possession of paraphernalia is classified as a level 1 offense where as a misdemeanor possession of drugs is classified as a level 3 offense. Does this make sense to you? Another point I would like to make regarding possession of paraphernalia is what the law considers to be paraphernalia. Generally anything, and I mean anything, which can be used for selling, purchasing, distributing, or manufacturing drugs may be considered paraphernalia. Most of us would associate items used to ingest drugs such as pipes or bongs with paraphernalia, but you may be receive this charge for items such as a scale or sandwich baggies.